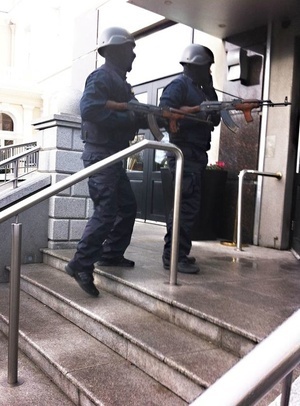 The trial had been stalled over the disclosure by the prosecution of emails between four gardaí. 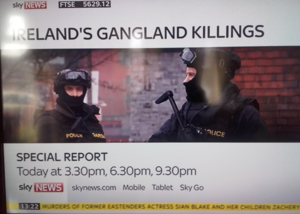 Following that adjournment Det Supt [Colm] Fox’s death took place. Notes written by the late superintendent were handed into the court and read by the three judges. The trial was further adjourned to allow time for a progress report to be outlined to the court. This report concerned the analysis of electronic data – a mobile phone, two USB devices and a laptop computer – as part of an inquiry into the death of Det Supt Fox. 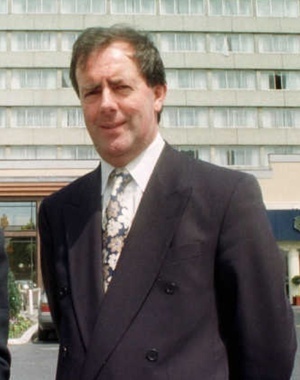 Posted in Misc and tagged Colm Fox, Patrick Hutch, regency hotel at 3:59 pm on February 20, 2019 by Bodger. “In these circumstances I think it’s safer, subject to the court, to adjourn the trial, as a trial, for mention, to a date toward the end of term,” he said. 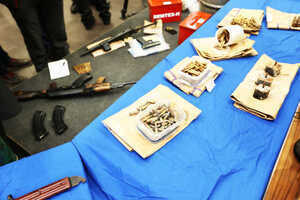 This seemed to be the “safest path forward to make sure no-one is taken by surprise,” he said. Posted in Misc and tagged regency hotel at 10:44 am on February 22, 2018 by Bodger. 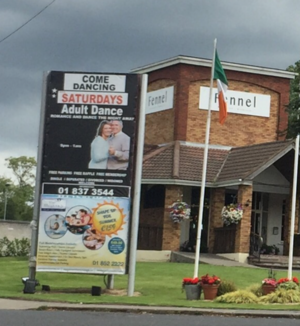 Posted in Misc and tagged Adult Dancing, regency hotel, sign at 1:56 pm on July 14, 2016 by Broadsheet. Perhaps your excellent firearms contributor (Mark Dennehy) can help me? 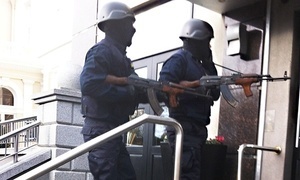 I was struck by the age and state of the machine guns used by the gunmen [dressed in Garda uniforms] during the Regency Hotel shooting. 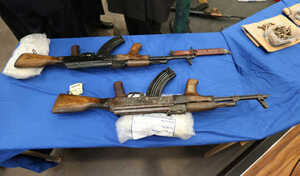 Why would wealthy gangsters use ancient, clapped out machine guns? 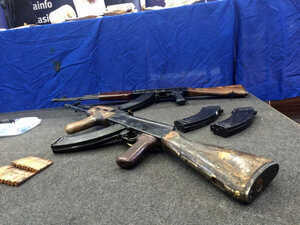 And then I recalled your post last month on the dissident Republican weapons put on display at Garda HQ featuring weapons as part of Garda “efforts to disrupt the activities of dissident republicans”. 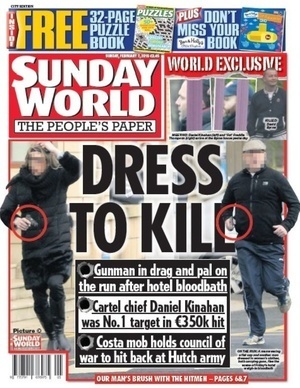 As I say, I’m no expert but they look very similar and I am wondering if the gangsters stole the guns from Phoenix Park along with the uniforms? Re: comments (below). I didn’t pose any theories it was a serious question. I am also genuinely interested in what the firearms guy has to say. Why not see if the guards are missing any weapons? 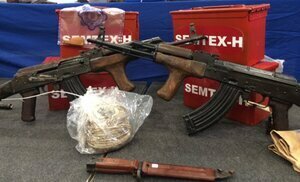 Posted in Misc and tagged Ask A Broadsheet Reader, machine guns, regency hotel at 11:24 am on February 17, 2016 by Admin. 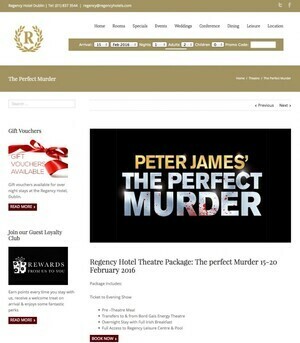 Are the Regency Hotels aware of their murder mystery night? Posted in Misc and tagged regency hotel at 10:58 am on February 15, 2016 by Broadsheet. 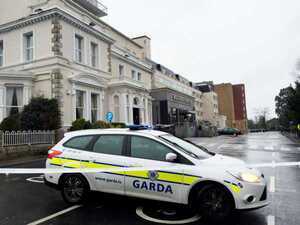 In a statement to the BBC this morning, a man alleging to speak on behalf of Continuity IRA said its members were responsible for the shooting in The Regency Hotel last Friday which left David Byrne dead and two men seriously injured. The statement claimed Mr Byrne was shot because he had been involved in the killing of Alan Ryan in Dublin four years ago. In a pre-recorded interview for RTÉ’s News At One, Áine Lawlor spoke with the managing director of The Regency Hotel, James McGettigan, who witnessed the shooting. 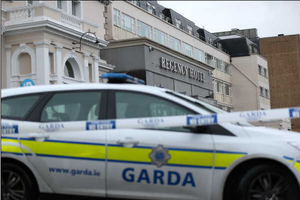 Posted in Misc and tagged James McGettigan, regency hotel, shooting, witness at 3:03 pm on February 8, 2016 by Broadsheet. One man has been shot dead while two others were seriously injured in a shooting in Dublin. The shooting took place at 2.30pm at the Regency Hotel on the Swords Road during a weigh-in for tomorrow’s WBO European Lightweight title fight between Jamie Kavanagh v Antonio Jao Bento. 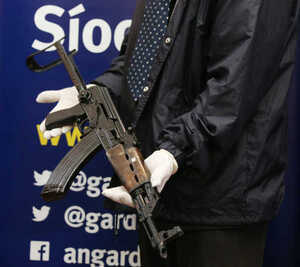 It is believed the gunmen were dressed in Garda uniforms and used semi-automatic weapons. Detectives are trying to establish a motive for the murder but one line of inquiry is that it could be connected to the murder of Gary Hutch, who was shot dead in Spain last September. Posted in Misc and tagged regency hotel at 4:53 pm on February 5, 2016 by Broadsheet.